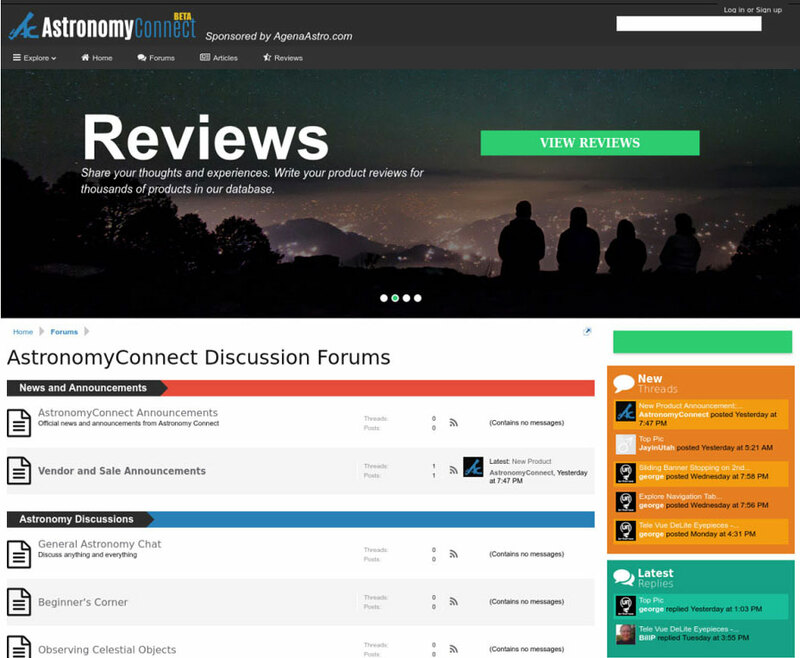 A new platform for enjoying, learning, and sharing for the astronomy community. Sign up now! Share your thoughts and experiences. 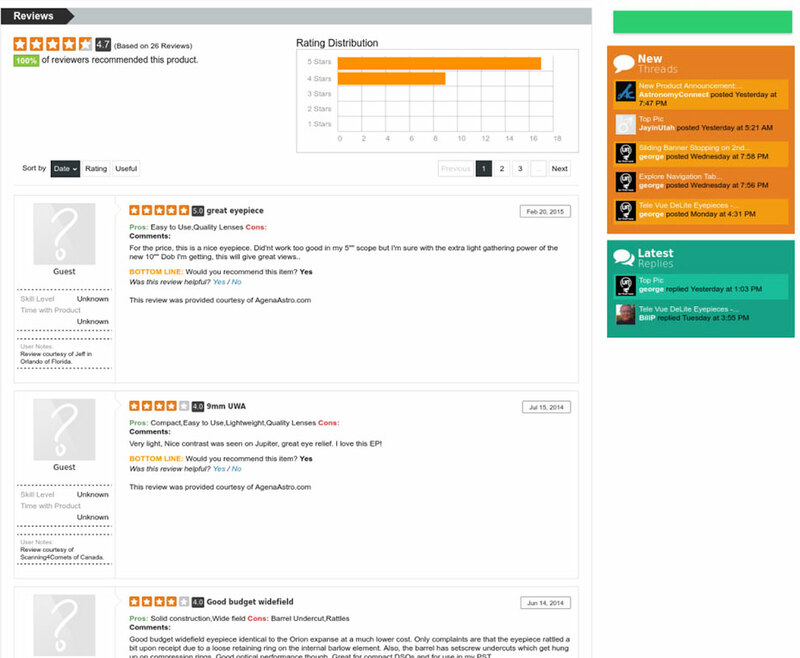 Write your product reviews for thousands of products in our database. 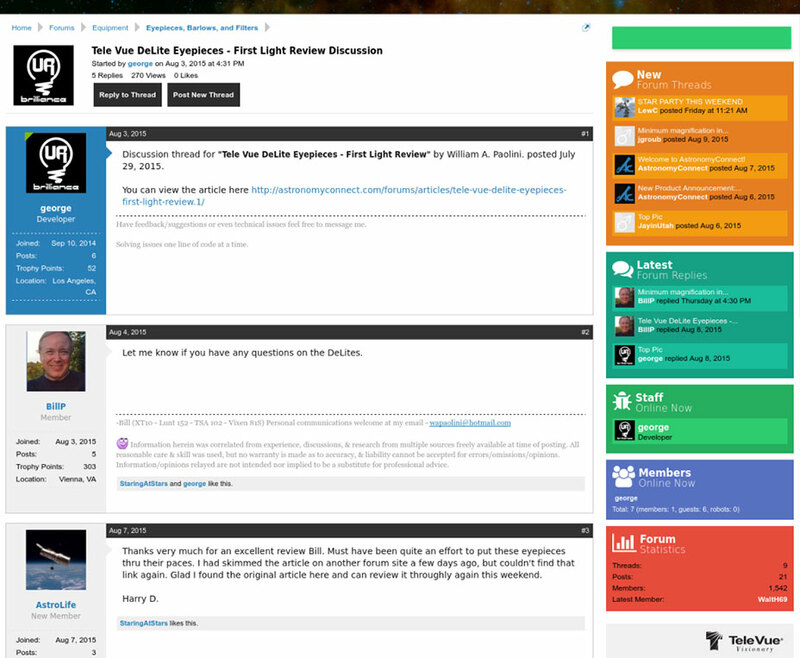 Discuss, share, and ask questions in our ever growing community forums. Search, filter, and sort products. Read reviews, find discussions, and resources from our ever growing product database. 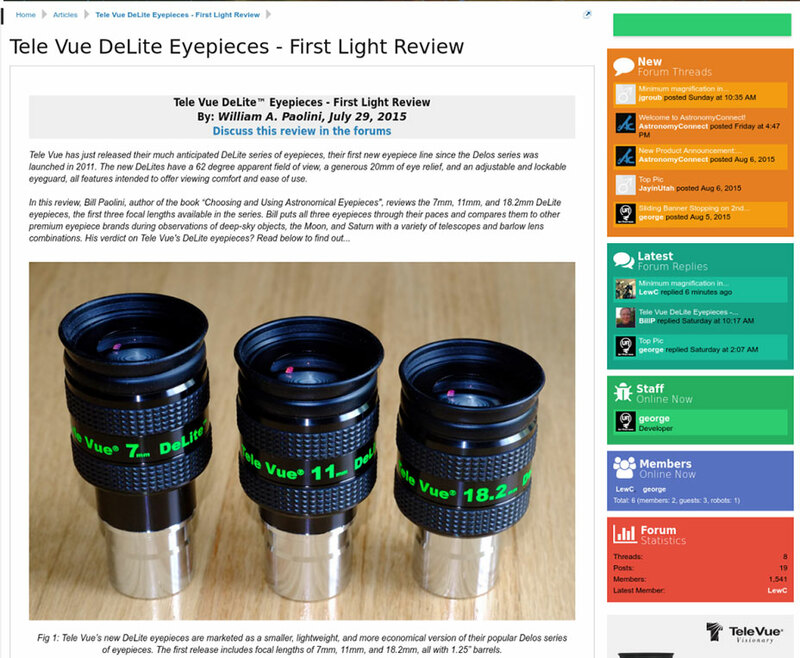 Get access to featured reviews, exclusive articles and helpful tutorials. Examples include: Focus points for eyepieces, Bolt case sizes for eyepieces, Optical path length of diagonals, Telescope tube/dewshield sizes, etc. Share your astronomy photos with the AC community. 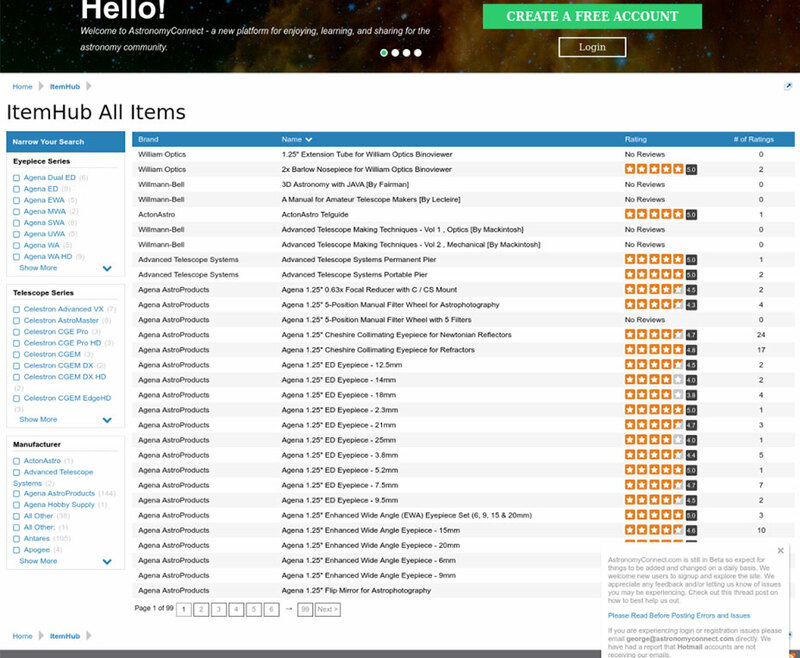 Directories of astronomy clubs, places to visit, useful websites, etc.